Delhi Capitals (DC) beat Kolkata Knight Riders (KKR) by 7 wickets at Eden Gardens here last night. DC had won the one-over eliminator against KKR in the first leg played in Delhi on March 30. After Friday's win over KKR, Delhi have climbed to fourth spot with eight points from seven matches and they would not want to slide down the ladder at any cost. A "visitor" at the Eden Gardens, DC advisor Ganguly watched Dhawan miss out on a maiden T20 hundred from the dugout as the southpaw (97*; 63 balls, 4x11, 6x2) roared back to form just three days ahead of India's World Cup team selection. DC's history of late capitulations might have kept a few of their fans anxious, but Dhawan and Colin Ingram took the team home without too much fuss, the latter finishing the match with a six. 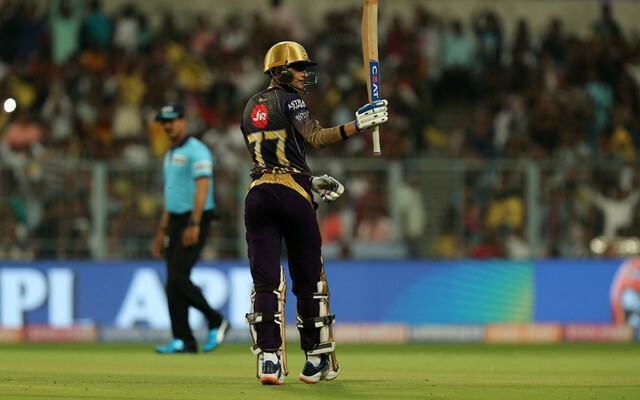 Earlier, Andre Russell blazed away to a 21-ball 45 after Shubman Gill's brisk half-century, powering Kolkata Knight Riders to 178 for seven. They lost another one as Dinesh Karthik also departed. 7 - With the wicket of Shreyas Iyer, Russell completed 50 wickets in the IPL. By the time Pant was dismissed after giving Kuldeep Yadav a simple catch at long-on, the match looked all but over. KKR were 72/2 at the halfway stage. Delhi clawed back in the game, ending Gill's (65) majestic innings off Keemo Paul, who replaced Sandeep Lamichhane. Russell came in to bat when KKR were 93/3 after 12.4 overs, needing to up the ante. His 39-ball knock was laced with seven boundaries and two hits over the fence. The duo calculated the chase perfectly, adding 105 runs for the third wicket and by the time, the latter got out to Nitish Rana, the result was a foregone conclusion. Robin Uthappa and Gill steadied the innings with a 63-run second-wicket stand. Gill mixed caution with aggression while Uthappa played the big shots. The first of the two sixes was a length delivery from the New Zealander and Shaw got down on one knee before carving it over deep point for a maximum.